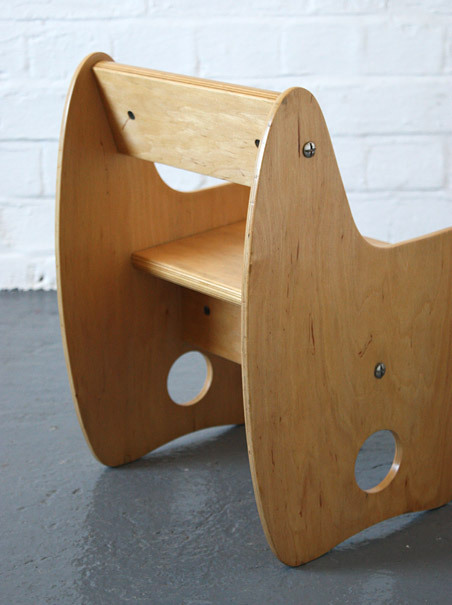 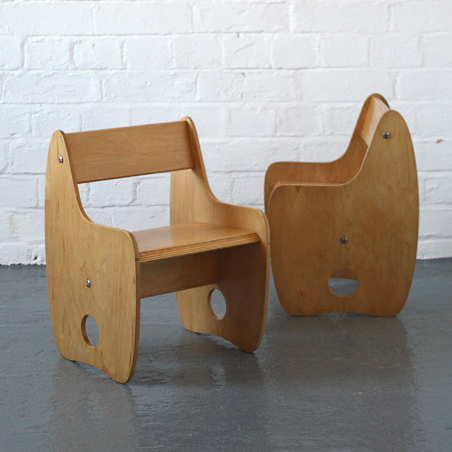 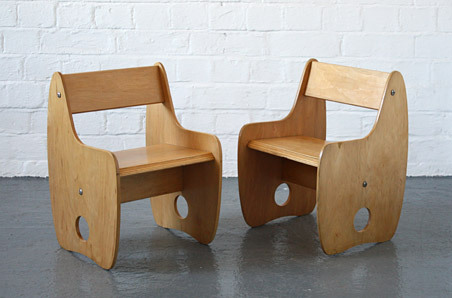 A pair of 1960s plywood children's chairs. 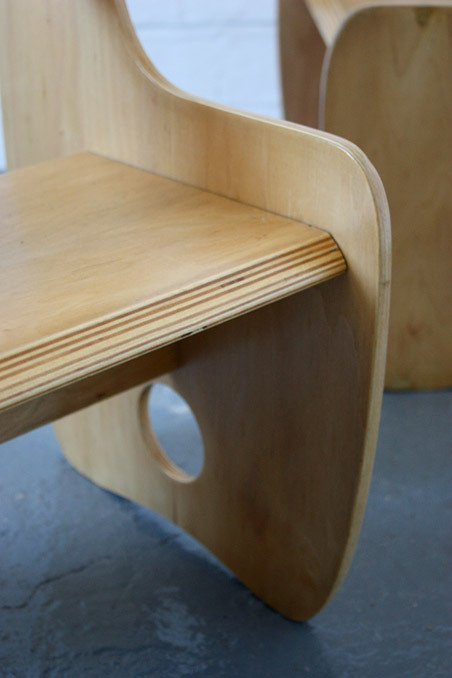 Veneered plywood panels with a nicely curved profile and cut-out holes. 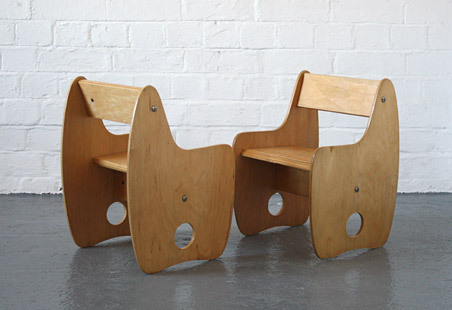 In excellent repolished condition with a few filled veneer chips.